COLDWATER LAKE - IYOPAWA ISLAND: Bob Buescher enhanced home. Recent updates include new siding, partial new roof, all new windows and patio doors, furnace, water heater & Culligan R/O system. 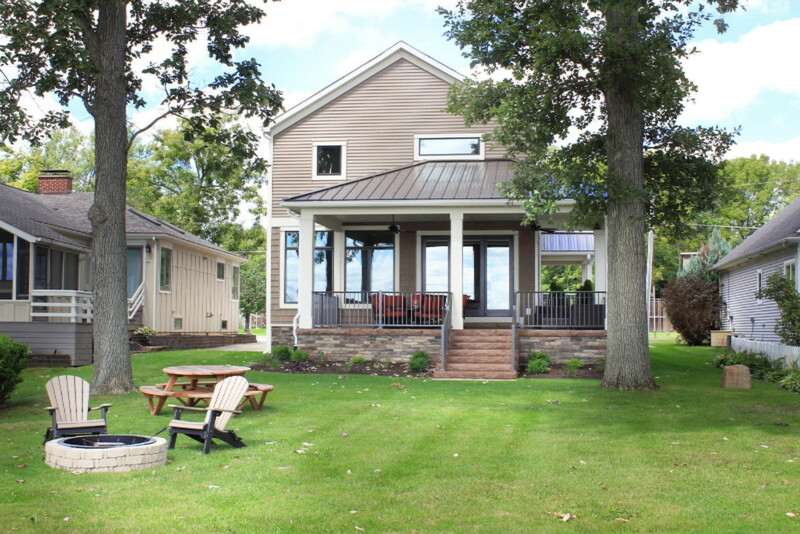 You will love the new porch area with stamped concrete overlooking Coldwater Lake. Newer countertops. Updated master bath w/walk in shower. Includes back lot with extra garage on wooded lot. All furnishings are included (except some personal items) as well as golf cart, dock, & shares to Iyopawa Island GoCourse. recreational room over the garage, open floor plan on main level and a 5' crawl space. This company makes no warranty or representations about the contents of this data. It is the responsibility of the parties looking at the property to satisfy themselves as to the accuracy of this information. Taxes were obtained from the local assessor and the taxes could change for the buyer after a closed transaction.